Canadian Running Magazine: "A Bucket List Race"
Sole Sisters in the News! I am still very much on a high from having been on such an empowering, fun and just plain encouraging team of runHERS this past weekend. I was lucky, I just showed up to run the relay as a Mountain View RunHER. I didn’t have to do any of the organizational work. And there is always so much more work than folks realize. And that got me thinking about the teams that sign up for Sole Sisters. You are there for each other but you know there is usually one person that does all the work to organize the team. Well, I think they should be rewarded for that work. 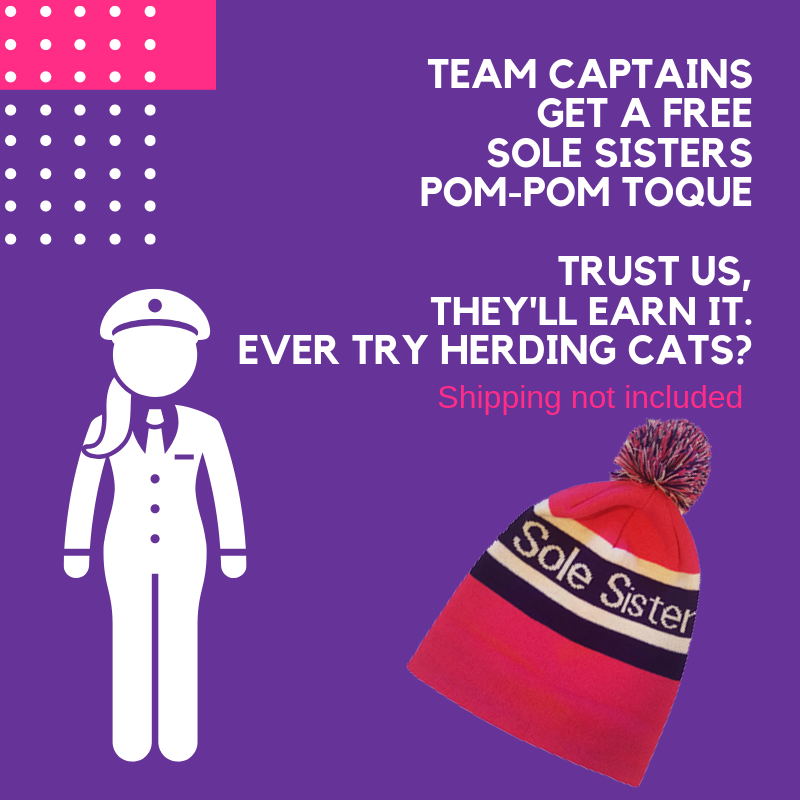 All Sole Sisters Team Captains will now get a free Sole Sisters pom-pom toque as a thank you for organizing your runHERS and walkHERs for the 2019 Sole Sisters Women’s Race Weekend. What is a team? It is 2 or more Sole Sisters. So if you are a captain, you will now get a toque because we know you deserve it. And to my captain, Robyn, I hope you are reading this because you are getting a toque too! Jealous folks? Well, you can always buy one here.